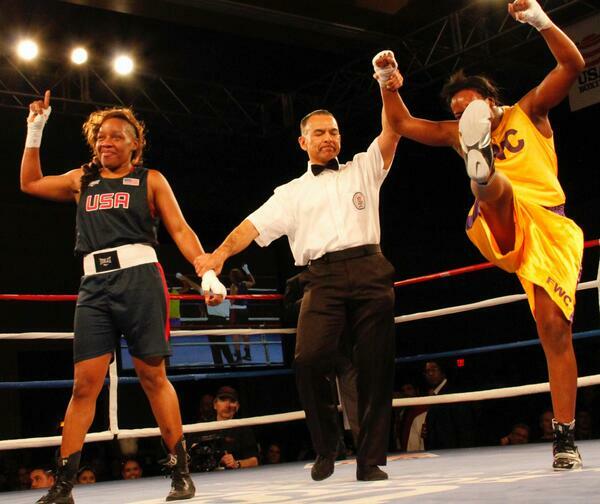 2014 USA Boxing Nationals #Womensboxing Final Results! 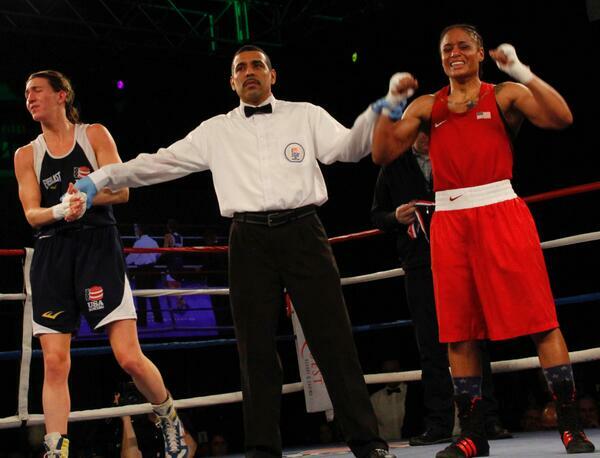 The finals of the 2014 USA Boxing National Championships were an exciting mixture of the expected and the unexpected. Olympians Marlen Esparza, Queen Underwood and Claressa Shields each came away with a national championship in their respective Olympic weight class, but each in her own way. Esparza won a decisive and unprecedented 8th National title by out boxing her able 112 lbs. division opponent Virginia Fuchs. In the lightweight (132 lbs.) division, Queen Underwood fought a tough battle against “rival” Mikaela Mayer who gave a terrific performance. Underwood came out ahead with the split decision, 2-1, but all things being equal — both fighters deserved the crown. Claressa Shields for her part fought a hard an unrelenting battle against veteran Franchon Crews to take the middleweight (165 lbs.) national title — her first as an elite woman fighter, in a performance that rivaled any in her gold medal winning year. Alex Love a member of the U. S. Army’s elite athlete team put on a terrific performance to gain the title with her 3-0 win over Natalie Gonzalez, and perennial winner Christina Cruz also won 3-0. Other winners included Tiara Brown who out-fought Lisa Porter in a tough bruiser to gain the split decision, as well as Destiny Chearino who gained her first title in her bout against Jasmine Singh. To round out the winners, defending 152 lbs. champion Danyelle Wolf impressed with her 3-0 victory over Melissa Kelly. In the heavyweight division (178+ lbs), Krystal Dixon gained an upset winner over last year’s champion, Denise Rico, with a 3-0. Dara Shen also impressed with a 3-0 win over Heidi Henriksen in the 178 lbs. division.